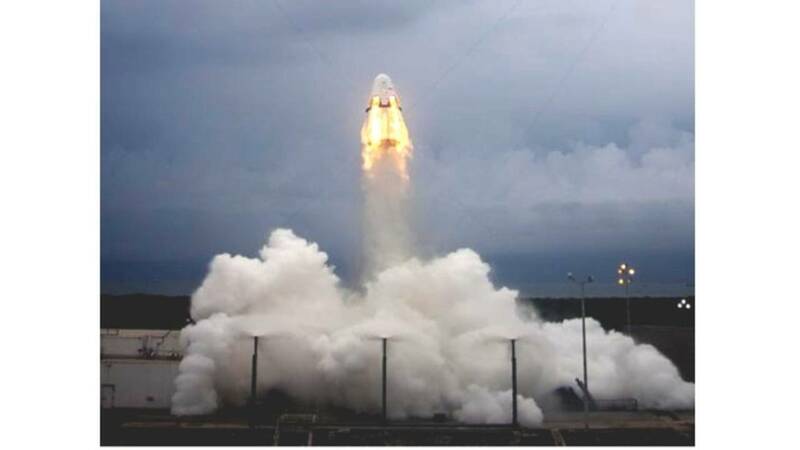 On May 6, a prototype SpaceX Crew Dragon capsule launched a successful pad abort test from Cape Canaveral Air Force Station. KENNEDY SPACE CENTER, Fla. - SpaceX plans to launch a test of an important astronaut safety system from Kennedy Space Center instead of California, NASA announced today. Local 6 News partner Florida Today says the second test of a Dragon capsule's launch abort system now will lift off from KSC's historic pad 39A atop a Falcon 9 rocket. The timing of the "in-flight abort" test is unknown, especially after the first failed Falcon 9 launch on Sunday, more than two minutes after a liftoff from Cape Canaveral Air Force Station. But the test, once planned this fall from Vandenberg Air Force Base in California, now will occur later, sometime after SpaceX launches an upgraded Crew Dragon prototype on an unmanned orbital test flight. That's so the in-flight abort test can use the Dragon that returns from that orbital flight, which will be more like the Dragon astronauts will fly than the model used in May for the first abort test, from a Cape launch pad. The next abort test, again flown without a crew, aims to show the Dragon can escape from a failing rocket as it flies through peak aerodynamic stress, before parachuting to a splashdown in the Atlantic Ocean. The system is intended to save astronauts from the type of malfunction that caused the Falcon 9 to break apart on Sunday, destroying an unmanned Dragon and its cargo. Falcon 9s have flown successfully 18 times. SpaceX and Boeing last year won contracts from NASA's Commercial Crew Program worth up to $2.6 billion and $4.2 billion, respectively. NASA hopes one of the companies is ready to fly a four-person crew to the International Space Station by late 2017. The contracts guarantee each company at least two missions, after a crewed test flight. SpaceX plans to launch crews from pad 39A. Boeing's CST-100 capsule will fly atop United Launch Alliance's Atlas V rocket from Cape Canaveral Air Force Station.